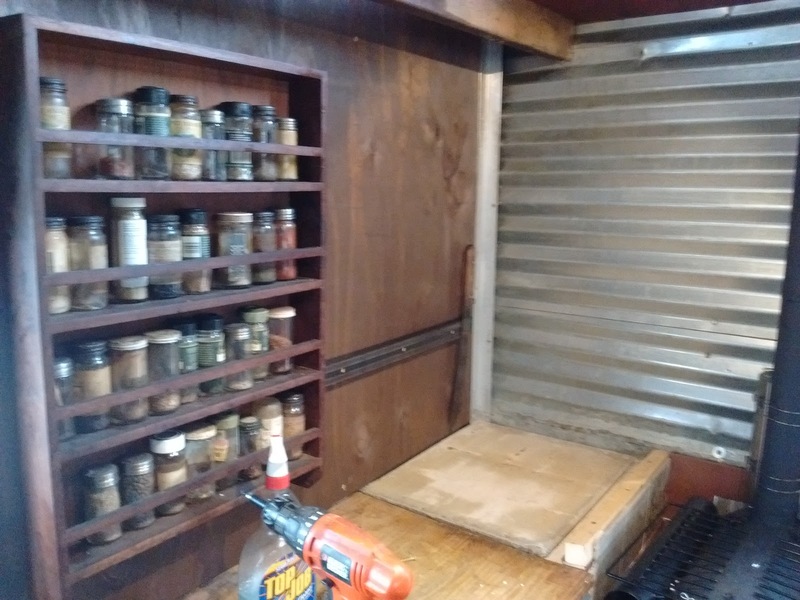 Okay, so with the settee firmly under our butts and the woodstove installed, we begin the next phase on the galley. 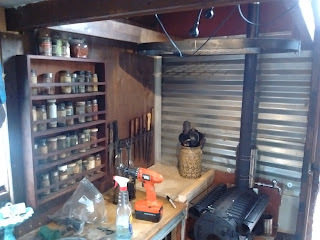 Our first rude surprise was in taking down some of the corrugated steel behind the old hearth. 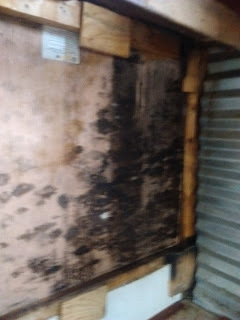 LOADS of mildew, caused by condensation. Ugh. So we cleaned up the black crap, sprayed the area with a bleach solution, and then wiped it down with a boric acid solution. Hopefully this will forstall this happening again. We put in more insulation and replaced some of the old tin with stained plywood to which we could attach stuff. The wood wall let us finally get the spice rack and knife rack close to where we use em. Pot rack back in place. 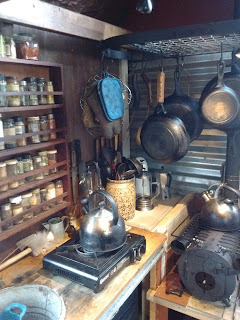 Then we re-hung our overhead pot rack. . .which was just as much of a chore as it was the first time. Now we've got the big hunk of it: replacing the countertop and moving the sink toward the aft to make for more work space.